Digital banner ads, designed by humans for humans. We gave it a go last time and kicked off with the first in a series of posts to set the base for designers and marketers on how to create engaging digital banner ad campaigns. We briefly discussed the composition of ads and the key elements included, the importance of color selection and lastly, the different sizes of screens and how our ads are viewed. Most of our clients already have a brand book when they approach us for a creative prop, so the first thing we do when a client asks us to create a series of proposals for a banner campaign is, of course, ask for and receive the client’s brand assets from the brand department, aka the branding police ! By that, we usually mean logotypes, brand colors, guidelines (documentation of how to use and combine all these elements) and of course the client’s typefaces and fonts! Some companies also have preapproved images, graphics, photography and even iconography for us to use as tools. Remember that a typeface is a family of fonts. 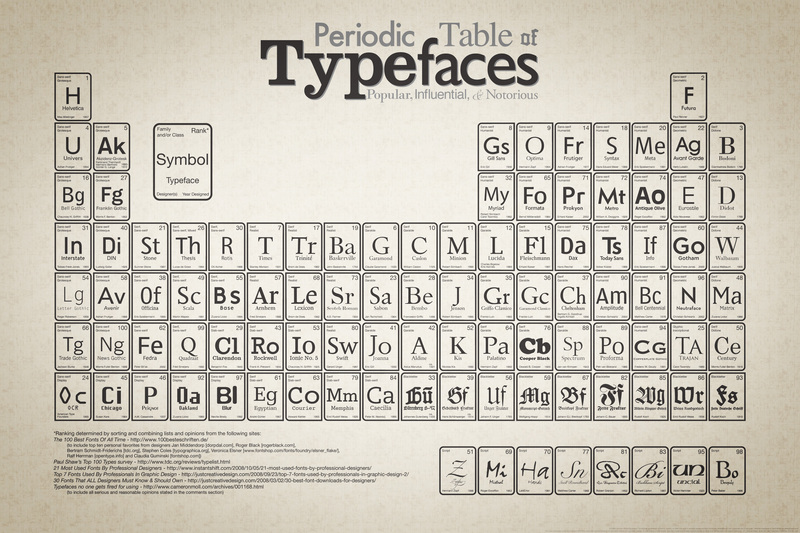 Each font of a typeface has a specific weight, style, condensation, width, etc. It’s important for our clients to recognize that we understand the guidelines and documents we receive. At this point we are not here to propose different paths for the client’s image, instead, we are called in to use pre-existing elements (brand assets) and combine them in such a way that the banner ads we will create, encapsulate the brand’s aesthetic and values and are engaging enough to lead the user in conversion by clicking on our banner. After we thoroughly study these documents and understand how the brand oscillates and what it wants to resonate; it’s time to start putting together our elements. Digitalization leads many designers to choose Sans Serif typefaces more and more. As you see, they are easy to read and work well even in very small sizes in comparison to a calligraphic or even a Serif typeface. A typical example of this trend is Google. Another relevant example is the redesigned logo of Santander. In the press release following the new design, Santander issued the following statement: “The brand changes to become more modern, more digital and more in tune with new generations…”. So the trend is clear, Sans Serifs will rule the typographic world in the years to come! Because of this trend though, are we losing diversity in design? We all share the same sense that most new websites and apps look almost identical. Typefaces are being used in less creative ways, so readability and content take first place; exponentially sacrificing personal design aesthetic in the process. While this is an unfortunate truth, it is also a necessity. In our first article, we talked about different screens and dimensions, different sizes and viewing ports. All of these factors contribute to the shift to “safe” Sans Serif typefaces by brands and designers. In the end, these typefaces are simply more visually pleasing and easy to read while fulfilling most of the new design needs. Aside from the eternal battle of the Serifs though, there many other options of typefaces we can experiment with. Caligraphic or handwritten for example if used correctly can bring a sense of freshness into our designs. They can convey a feeling of safety and subtle charm. They are typically used in brands that want a touch of personal connection with their users, and also in brands that have a diy element in them. Here are some examples and how these typefaces work in logos for big brands. Last but not least, let’s not forget the huge, weird, bold and crazy decorative/display typefaces. Calligraphic typefaces are for elegance, style, personal touch. Serif typefaces tend to generate sophistication, seriousness, historic value. Sans-Serif typefaces are clean, easy to read, inclusive, modern, digital. Script typefaces share similar values as calligraphic. Decorative typefaces are eccentric, bold, distinctive and quirky at times. Now let’s see how we approach the creative process of creating our banner ads. Before we start designing, we firstly take notes and try to clean up the brief we’ve received. We prioritize the colors we will use. We prioritize our text in Title, subtitle (smaller size text), call to action, etc., and all of these must always be in compliance with our client’s brand. Remember not all the elements we compose should have the same visual importance because in the end the user will be overwhelmed and our message will become blurry! Let’s see some banner ad examples and how they nail it. In these Hello Fresh ads, we can see a strong composition that includes many of the elements we talked about before. The designer centralizes the main elements such as logo, main title, and call to action and uses the product photos and background elements to dress up his composition and encapsulate the brand’s look and feel. Take notice of the typography used; Bold Sans Serif fonts in specific weights, sizes, and colors in order to navigate the viewer’s attention to the most important messages. The centralized alignment generates a feeling of stability and comfort, while the rest of the elements are positioned in a peripheral manner and are there to bring the extra “boom” the ad needs to communicate it’s message. Another bright example is that of the Spotify ads. Bold, clear, modern and dynamic! Use these tips as a starting point. On a followup post, we will give it a go and make a small design system to help us organize our workflows in a more sufficient way. rules are here to be broken! Dafont: We’ve all started somewhere. Huge bank with free typefaces to use. MyFonts: another great typeface bank with 1000s of free typefaces. Typekit: A great resource for those of you who work with Adobe subscription.